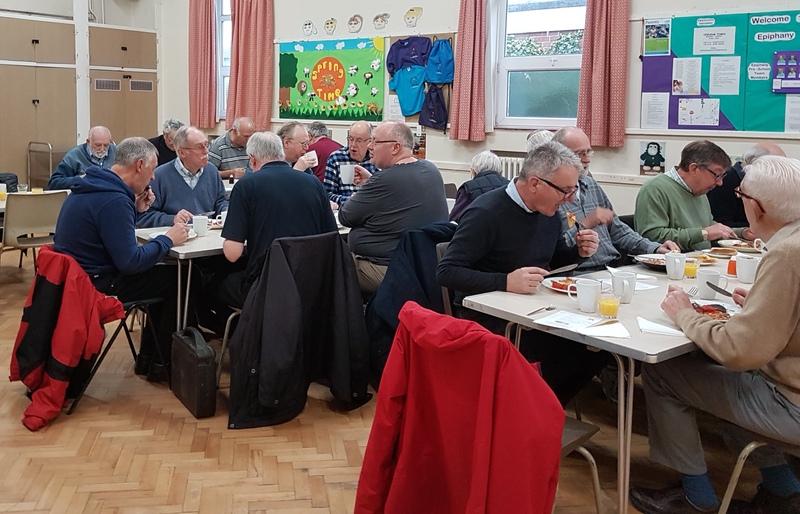 The Men’s Breakfasts are held monthly at either Holy Epiphany Church Hall, St.Pauls (Throop) or Holdenhurst Village Hall. About 25 to 30 people attend of many different backgrounds and ages. A traditional English cooked breakfast is served at 8am followed by an invited speaker who gives a talk. Speakers from a wide range of organisations talk on a variety of subjects.